Well we got drizzled on a little while today but still managed to pull off a pretty good match. Welcome back Blue Steel. It has been several years. We did manage to have one clean shooter today and that was me. Cockroach wrote a good array of stags. Speaking of stages, they are attached. 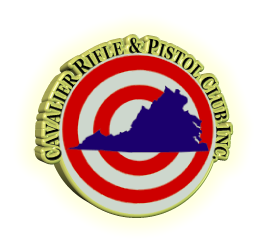 Also, don’t forget to support Mattaponi’s Brest Cancer Match in two weeks and the following week will be the Sussex County Range War at Pungo. Now that todays match is in the record books, you have a chance to do it again. This Wednesday, Oct. 10 the Cavalier Cowboys will be holding their every second Wednesday of the month match. Gates open at 10:00 am, safety briefing at 11:45 and first shot down range at high noon. I didn’t write the stages. Everyone is invited. What a nice day to shoot. A little breeze would of helped but it was still quite nice. We still had a good turnout with many at the Eastern Divisional but 20 shooters managed to make it to the match. With the mostly non traditional stages some fool put together, we still managed to have 3 clean shooters, Cockroach, Smackwater and Major BS Walker. I do hope everyone had fun today. That is the real reason we put ourselves through all of this. Stages attached. For all those people that will not be at Thurmont for the Eastern Divisional this weekend, the Cavalier Cowboys will be hosting their first Sunday of the month match as usual. Gates open at 8:30, safety briefing at 9:45 and first shot down range at 10:00. Cavalier information and directions can be found at www.cavaliercowboys.org or contact me at www.majorbswalker@gmail.com. Good luck to all at Thurmont but if you are not there than I hope to see you here.